Follow the whale migration directly here! 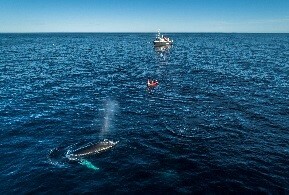 Will the humpback and killer whales again come to the fjords of Northern Norway, or is this adventure coming to an end? 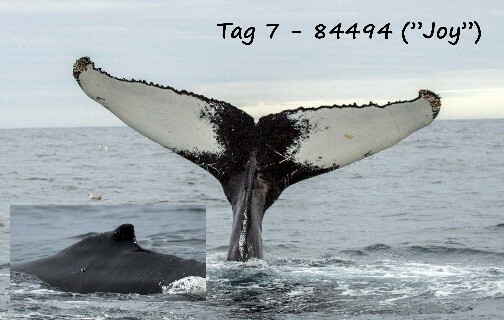 Now you have the opportunity to anticipate this yourself, since we in early September 2018 tagged ten humpback whales in the northern Barents Sea. Perhaps will some of these give us an answer? 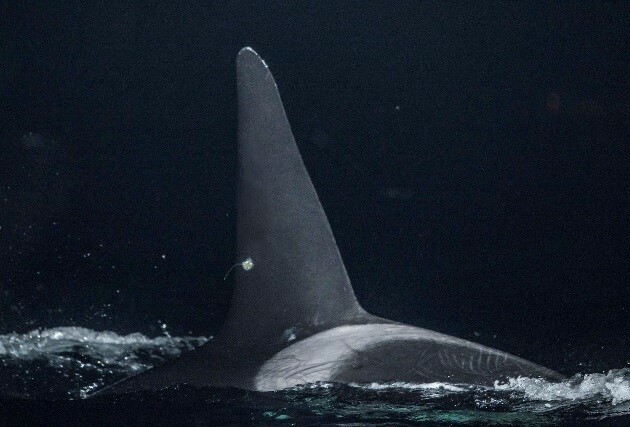 UiT- The Arctic University of Norway has led the Whaletrack project over the last few years, with the intention to map different aspects of the migration behavior of humpback and killer whales during and after their winter arrivals at the coast and fjords of Northern Norway. Here they have been feeding on Norwegian spring spawning herring that for some reason have overwintered in these areas the resent years. (See some of the last year's tracking data here). The project is carried out in close cooperation with the Institute of Marine Research (IMR) and other national and international partners. The project is supported by The Regional Research Council, VISTA, UiT, Fram Center and IMR. The new WHALEFEAST-project (2018-2021) will also include tourism and fisheries industry in the project . 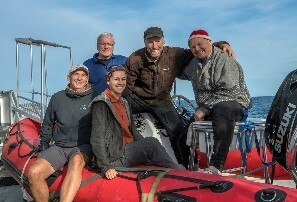 The research team that attended the Barents Sea research cruse in September 2018. From left to right: Kjell-Arne Fagerheim (IMR), Nils Øien (IMR), Lisa Kettemer (UiT), Audun Rikardsen (UiT) and Lars Kleivane (Lkarts).